1. Friday is the day! 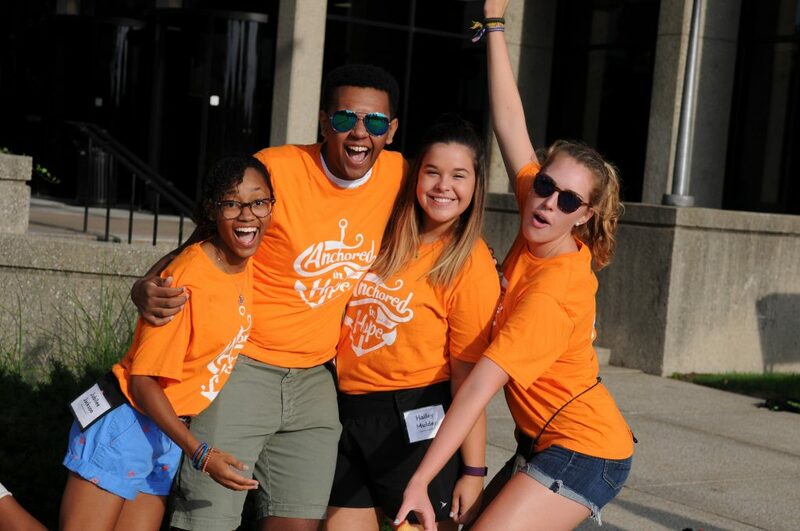 Move-in Day is Friday, August 24 from 10 a.m. to 4 p.m. Orientation Assistants (“OAs”) will be at every residence hall to welcome you and your student. A big Orientation Weekend welcome to incoming students! 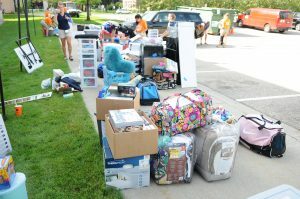 No need to think that moving all of this stuff into your student’s dorm room is overwhelming! Hope students are here to help! Pro Tip: Use blue tape to mark your belongings with your student’s name and room number before you arrive! Which way do you go? Hope Campus Safety and our Orientation Assistants will help show you the way. 3. Unload, then park. Campus Safety officers will be managing traffic and pointing you in the right direction. Parking near residence halls is reserved specifically for those who are unloading their cars. Once you are done unloading, you can park in any Hope parking lot throughout Orientation weekend — no permit required. 4. Step in and step up. We know that every family’s story is unique, and we’ve worked to build a variety of experiences that will meet a variety of needs. So, make yourself at home and dive into the family sessions. The more you participate throughout the weekend, the more you will get out of it. 5. Ask for help! There are no silly questions or unimportant concerns. Stop by the Orientation Station in the Bultman Student Center and ask the Orientation staff anything. Members of the Parents’ Council will be at Hydration Stations throughout camps. If they don’t know the answer, they’ll track it down for you! 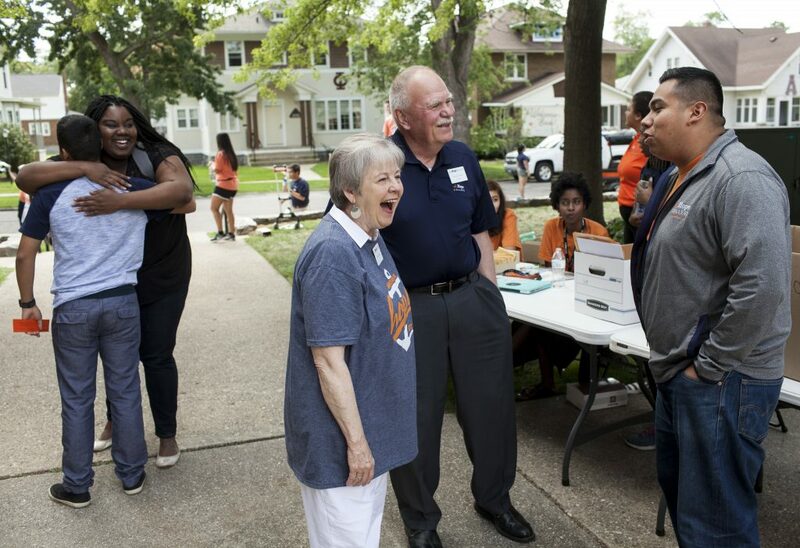 You’ll find President Dennis Voskuil and his wife, Betty, welcoming new students to Hope. Good luck with all your last-minute packing and preparations. We can’t wait to welcome you to Hope in person! 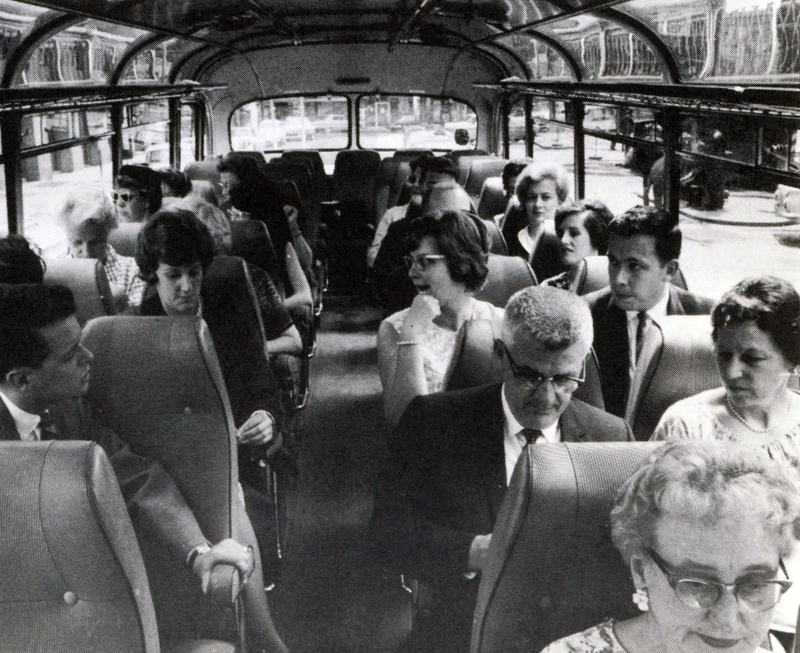 Alumni tour the streets of Vienna during a travel program in 1965. Hope College began hosting educational tours for alumni and friends in the 1960s. 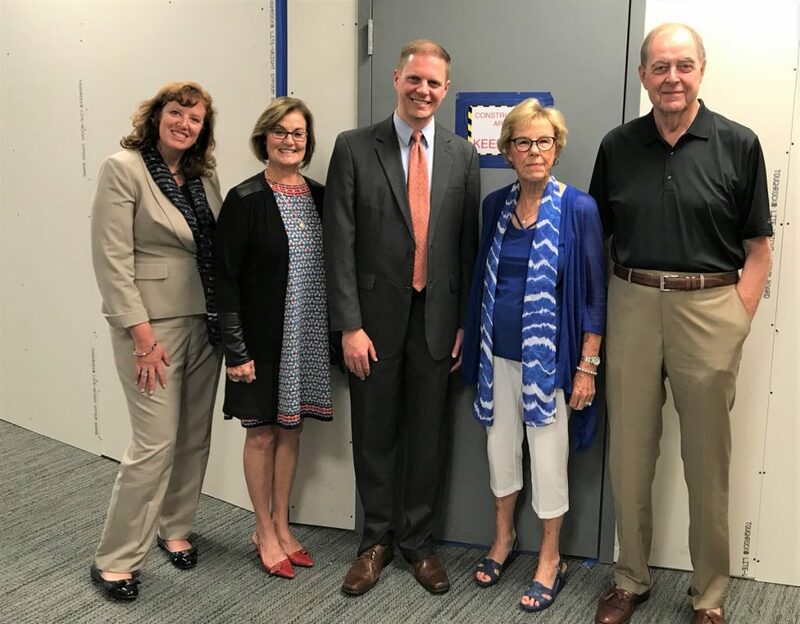 The integration of learning with Hope faculty and the opportunity to connect with friends from the Hope community have always set these programs apart. Over the past few years we have had increasing momentum for lifelong learning and travel. After two recent sell-out trips and wait lists almost as large as the trips themselves, we have decided to officially expand our offerings and launch a new Hope College Global Travel Program. In addition to responding to the interests of alumni and friends, there are other strategic reasons to grow this program. 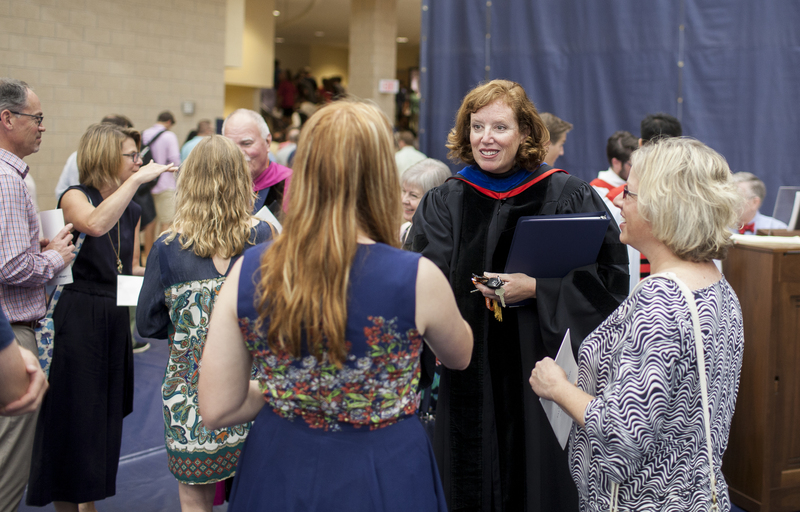 Hope’s strategic plan calls for programs to expand faculty and staff cross-cultural perspectives, increase access to off-campus study for students and build a stronger network of lifelong relationships among alumni and friends of the college. If you are a Hope graduate, parent, Hope Academy of Senior Professionals (HASP) member or friend of the college and have a desire to travel, learn, expand your worldview and connect with the Hope community — then this Global Travel Program is for you! Happy travelers at the end of their recent adventure in Tanzania. We custom-design our programs relying on the expertise of our faculty, alumni hosts and staff. 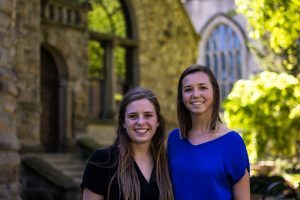 Just like Hope College students studying abroad, you will gain new insights about the places to which you travel and return home with greater knowledge and understanding of our world. We are moving from a program every few years to 2-3 programs each year. 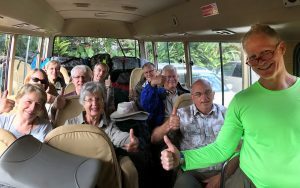 Destinations in the next year include: a Tanzania Safari (back by popular demand), a Discovering the Balkans River Cruise (in partnership with HASP but open to all) and a New Zealand Adventure. 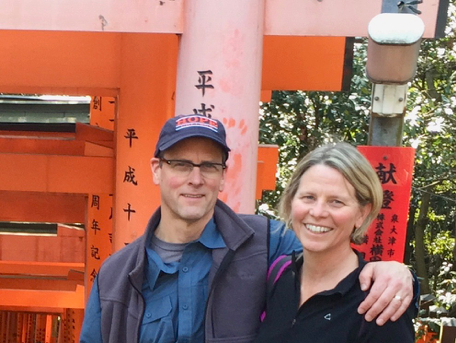 Pat Van Wylen, pictured with her husband Dave, on an international adventure. 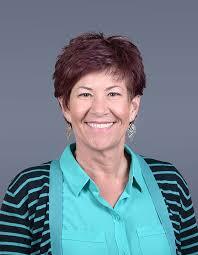 Pat Van Wylen recently joined the Alumni and Family Engagement team as the global travel coordinator. 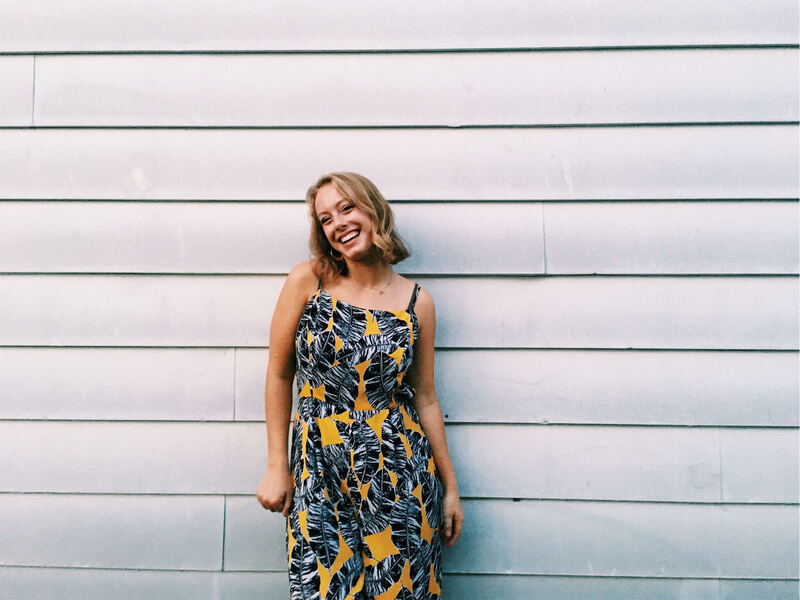 Previously, Pat worked in St. Olaf’s College’s International and Off-Campus Studies Office, organizing and co-leading a variety of international study abroad programs for St. Olaf College students and alumni. 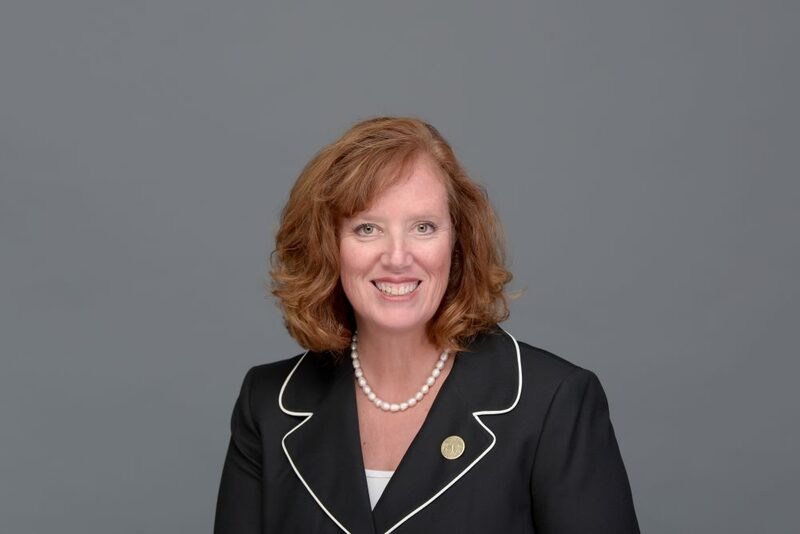 More recently she co-led alumni and family travel programs. In addition to having a passion for learning through travel, she also promotes health and wellness and has taught Health Dynamics at Hope. 100% of travelers on our last program said that the experience met or exceeded their expectations. 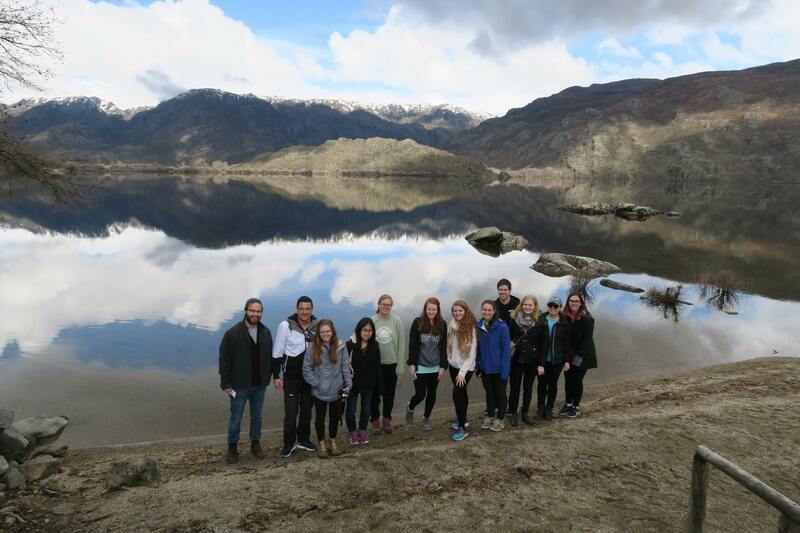 A group of Hope students hike on the Iberian Peninsula during a recent off-campus study program. 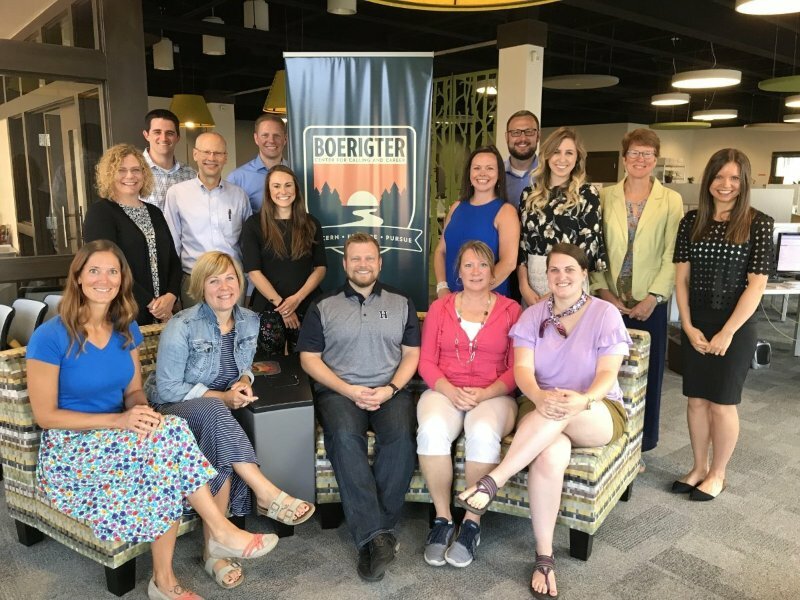 Participants in this program will also be supporting today’s Hope students as they step beyond borders and connect with the global community. Proceeds from the Global Travel Program, as well as gifts from individual donors, support the Global Scholars Fund for student off-campus study grants. If one of these trips doesn’t fit your travel goals or schedule, you can sign up to receive updates on future programs and share ideas for new times of the year and new destinations. You can also share photos from past trips if you have already traveled with Hope. Email your photos and suggestions to vanwylenp@hope.edu. We will use the feedback to plan for the future and we will share photos on our new online gallery. 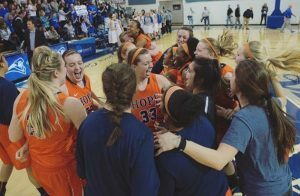 At Hope College, we understand that the world is much bigger than the few blocks our campus sits on. Join us and become a student of the world. Greetings from the Office of Campus Safety! Since joining Hope College as Director of Campus Safety in 2016, I have been impressed by the caliber and commitment of the students we serve — your daughters and sons. I feel blessed to work in a safe and compassionate community, where students and employees genuinely care for one another. This sense of community is one of the things I value most about my work here at Hope. In fact, service to the community has always been an important part of my job. In 2015, I retired from the Grand Rapids Police Department after 33 years in law enforcement. Today, I lead a team dedicated to the Hope community — staffed 24 hours a day, with officers and dispatchers always ready to serve. Given our responsibility to protect the campus, we are called to engage all members of the community — students, employees, families, special guests and visitors — and we’ve made it a priority to do that every day. Have you noticed the blue-light safety phones on campus? Do you know when and how to use them? In the fall, Campus Safety began adding more blue-light phones throughout campus. At these phones, anyone can call for emergency services with the push of a button. Encourage your student to take note of the blue-light safety phone locations, and remind them that they can use the phones for any kind of incident, even for something like car trouble. Do you know what to do if you experience, or if you know someone who has experienced, sexual assault or harassment? These are difficult things to talk about. Thank you for your willingness to have the hard conversations — family support is critical for the success of students while in college, especially when the student experiences challenges. Students who have experienced assault or harassment have options, which include filing an online report or contacting Campus Safety (616.395.7770 / pubsafe@hope.edu) or the Office of Title IX (616.395.6816 / dorer@hope.edu). To review all the options with your student, see the list on the Title IX website. Do you really need a car on campus? 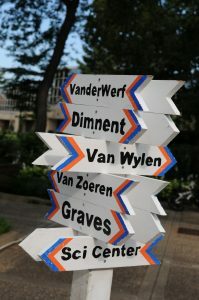 Though many students like having a car at Hope, they do not need one to get around the campus and the city of Holland. So, what do you do if you need a ride from one place to another on campus? There is a free shuttle service on campus during evening hours. And, after the shuttle ends its service for the night, our officers are available to provide escorts for students with safety-based concerns. Students can call Campus Safety 616.395.7770 for this service, keeping in mind that the wait time is dependent on officer availability. The college also offers a variety of off-campus transportation services for students, including rides to field placements and internships. Is your bike registered? A bike is a great mode of transportation (plus, parking is much easier!) The City of Holland requires that all bicycles used on campus be registered. Your student can register their bike online and pick up the registration in the Campus Safety office. Do you know what do you do if you see suspicious behavior on campus? If you see something, say something. Students shouldn’t hesitate to contact Campus Safety at 616.395.7770 or 911 if they observe something suspicious. Do you have questions for Campus Safety? Please contact us at 616.395.7770 or pubsafe@hope.edu. We appreciate your ongoing interest and support. 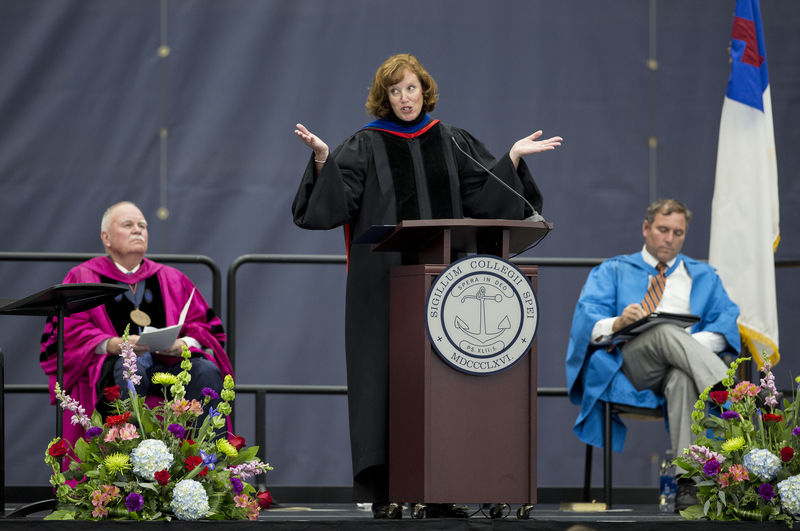 As provost, I think about academic affairs at Hope College every single day. 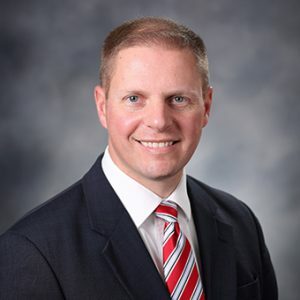 I focus on our students’ education and experience. I spend most of my days meeting with faculty, staff, and students asking questions and listening for what’s going well and what can be improved. Here’s what I know so far. We have 235 full-time faculty who are well-educated, well-equipped scholarly teachers. I appreciate that at Hope College, full-time faculty teach the vast majority of our courses. Unlike our competitors, we don’t have many part-time instructors—and when we do, they’re practitioners in their field who add to the quality of our education here. And at Hope, we have zero graduate teaching assistants—unlike large land grant research institutions. 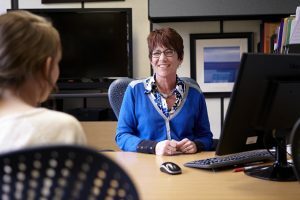 In short, the vast majority of our professors hold the top degree—PhDs in their fields–and they hold leadership roles in their professional associations and are national experts and authors in their fields. I appreciate the fact that our faculty’s full-time careers are to teach well, conduct research, mentor students, and work closely with students in countless ways. And the faculty are caring and very student-centered—they love to work with students. Students are the highlight of our collective work. 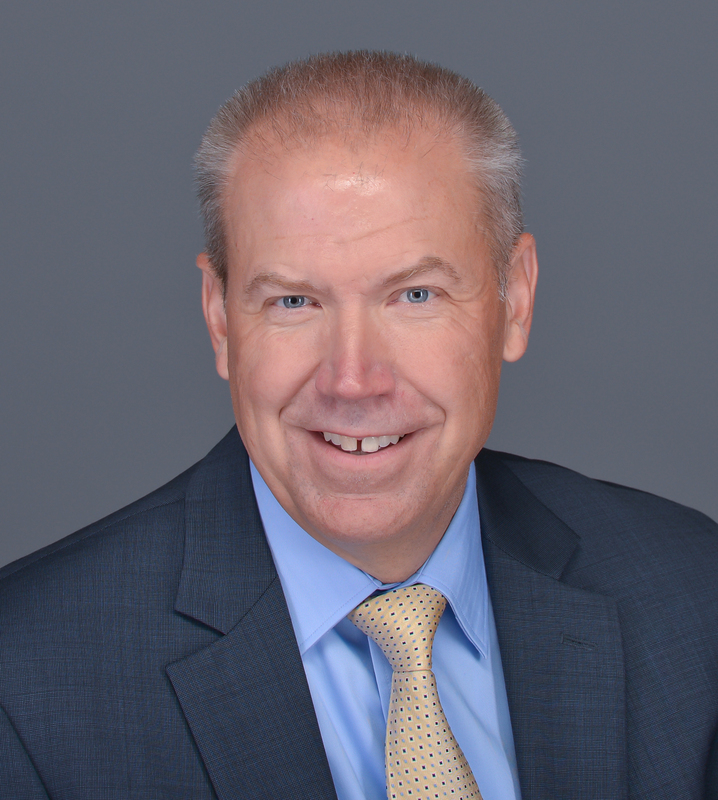 So, I think we get it right—after 21 years of academic leadership experience and having seen various models, I believe it’s best to have a hybrid model of teaching really well and doing research. Some schools teach a lot but don’t do much research or stay on top of their fields. Other institutions do research and teach a little—to varying degrees of success, quality and engagement. We do both and we do them well. I’ve also spent a good amount of time meeting with and listening to our students, individually and in groups. Our students’ stories and lived experiences are impressive here. I appreciate all that they’re able to juggle here at Hope. Many are double majors–bringing together interesting combinations of study like Engineering and Dance, Computer Science and Classics, Communication and Religion, Neuroscience and Art, the list goes on. I’ve learned to listen for the “and”—they study this AND that. Students can do that here at Hope; students cannot do so everywhere. And then I like to ask students what else they do with their time here. Many engage in interdisciplinary projects. Hundreds of students conduct collaborative undergraduate research with our faculty members. Many are involved in the National Science Foundation-funded research projects. Students present and publish their research with our faculty—in many institutions, this is unheard of at the undergraduate level. I know many places will use the student labor and intellectual contributions but not give them credit. Hope College shares the research opportunity and the authorship with our students. To give you a sense of our undergraduate research prowess at Hope College, the Council for Undergraduate research awarded us along with two other institutions in the nation for our high level and high quality of undergraduate research. And our students earn major international awards and recognitions for their excellence through prestigious awards like Lilly, Goldwater, Mellon, Fulbright, and more. Having served as a founding graduate program director elsewhere, I’ve concluded that our undergraduate education is a whole lot like graduate education elsewhere in the depth, quality, and research experiences that our students have alongside our talented faculty. We’re providing rich, robust, and rigorous academic experiences for our students. In addition, our students tell me that they are athletes, musicians, dancers or artists. And most students are leaders and community servants who care about things that are bigger than themselves. Our student body is full of smart and ambitious, but other-centered individuals. It is the well-rounded and the holistic approach to their education and their lives that I love the most. And let me tell you about a Hope College student I know particularly well, my son. This year, our oldest child started college at Hope College. 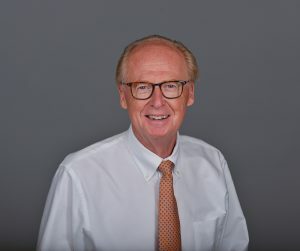 He chose Hope for the superb science programs, to have the opportunity to play Division III lacrosse, to engage in a wide array of study abroad and undergraduate research opportunities, and because of the vibrant chapel program. I can tell you that wearing my two hats of provost and mom in one place have thrilled me. Hearing our son talk about how much he loves his classes, the faculty, the Phelps Scholars program, lacrosse, residential experience, and his new friends makes my heart sing. After a 21 year career in higher education, where I have truly loved academics and have seen its power daily in everyone else’s children, I now have the opportunity to watch my child (whom I love deeply) love what I love. And it’s ridiculously good! So, I’m delighted to lead at Hope College. A place that celebrates a well-rounded education, holistic student experience, and a relational endeavor that weds academics and faith in a safe and idyllic playground on the shores of Lake Michigan where gorgeous sunrises and sunsets fascinate us each day! This is all distinctly Hope College and I’m genuinely pleased to travel this academic, relational, and spiritual path with your child and student. Know that I’m as invested in your child’s education as my own son’s four years here. Grace and peace to all of you, friends! 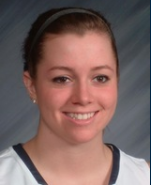 Gabby Barber, a junior at Hope College, is a music and political science major and on Chapel Choir’s leadership board. She has been a soprano si nger in Chapel Choir for three years. When Gabby came to Hope College she knew that music would be a concrete part of her future, because it was a huge part of her past. She sang in high school choir, took voice lessons, participated in musicals, and knew she never wanted to stop singing. 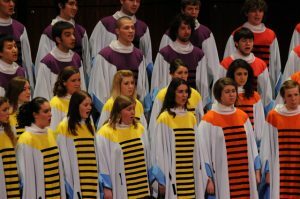 Chapel Choir is a medium size ensemble made up of men and women who come from diverse backgrounds and majors, but they all have a parallel passion for singing and performing. As a group they have the very unique experience of traveling and singing, while becoming a tight knit group. Chapel choir performs at baccalaureate, opening convocation, vespers and many other Hope College events. 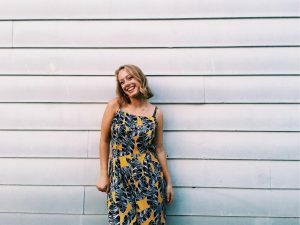 Gabby’s favorite part of being a part of Chapel Choir is the amazing experience of putting herself out in the world through Chapel Choir tours. The choir performs for audiences of different geographical locations, social-economical and racial backgrounds, and the choir hopes that their music affects their audience in a positive way. Gabby’s years in Chapel Choir have brought a new understanding that you never know how the music is going to encourage a listener. Gabby has been told that Chapel Choir’s 2018 Tour to South Africa will be a life-changing experience and she believes that statement. 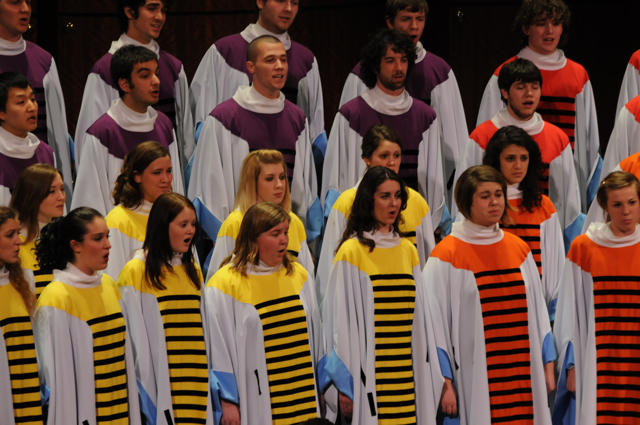 Your Chapel Choir Fund gifts support Gabby and student choir members just like her. 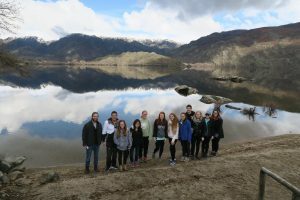 Gifts to the Chapel Choir Fund go directly to support sending chapel choir students to South Africa. You make an immediate and life-shaping impact for students when you join the community of Chapel Choir Fund donors. Your gifts create passion and bolster commitment to help students grow spiritually and musically. Investing in Gabby and all Chapel Choir members provides them with an unsurpassed educational experience at Hope College. Your faithful giving makes a difference.